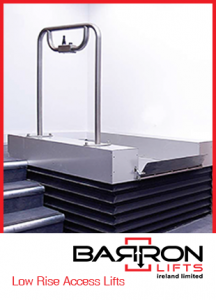 The low rise access lift provides an ideal solution where there is a small change in level up to 500 mm. The lift has a 225kg capacity and comes in a sleek stainless steel and aluminium finish. Installation is straight forward and builders work is reduced to a minimum as there is no requirement for a pit.